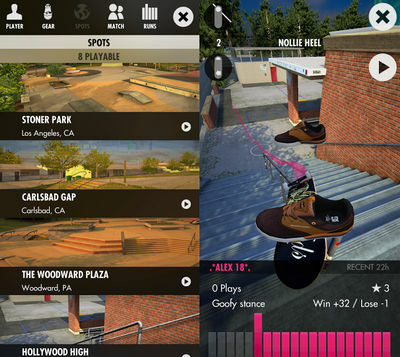 Skate your heart out in the most realistically designed skateboarding game By TheSkaterTeam. Skater version 1.6.0.3 free download link is available below, but we encourage everyone to buy the game if you have the money. Show your skating style and individuality by performing and recording every move and combo possible. Share your runs with the world as you skate through the most renown locations using the latest gear! Skater is here to amaze every skateboarder out there! 1.6.0 - Content Drop! New Level and Deck! NEW LEVEL (FREE!) - Lower East Side (L.E.S.) Coleman skatepark is one of the most iconic skateparks on the east coast. Originally an unused space turned DIY spot by skaters, the park has seen several upgrades and revisions over the years. 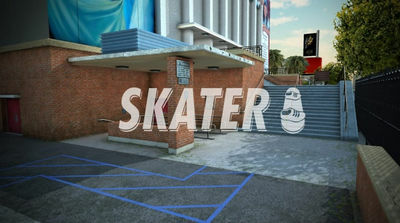 Install v1.6.0.3 Apk, Copy ‘com.froschmedia.skater’ data folder to sdcard/Android/obb, and play the game. This game requires Android 4.4 and up. If you like what you're playing BUY it from the Play Store link above and show the devs your support! Its dont work on my Motorola g2, what i can do?